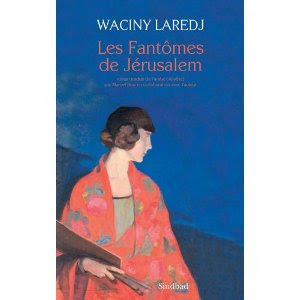 Waciny Laredj's Les Fantômes de Jérusalem [The ghosts of Jerusalem]. This novel looks like it is this author's latest translated novel to have appeared in French. It was out on 4 May 2012 published by Actes Sud. Cant' wait to get my hands on it, definitely my next read after Aziz Chouaki. Waciny Laredj (al-3aradj الأعرج ) is a contemporary Algerian novelist who writes in Arabic. Born in 1954. He has been translated in French quite widely but no English. I mean NONE (that I can find). Darn it, can someone please translate him into English! The fantastic ArabLit blog compiled an excellent profile for him HERE.